When Kate and Andrew transformed their family farm into a luxury glamping business in the heart of Devon, they asked us to create a strong visual identity and website to showcase their new venture. 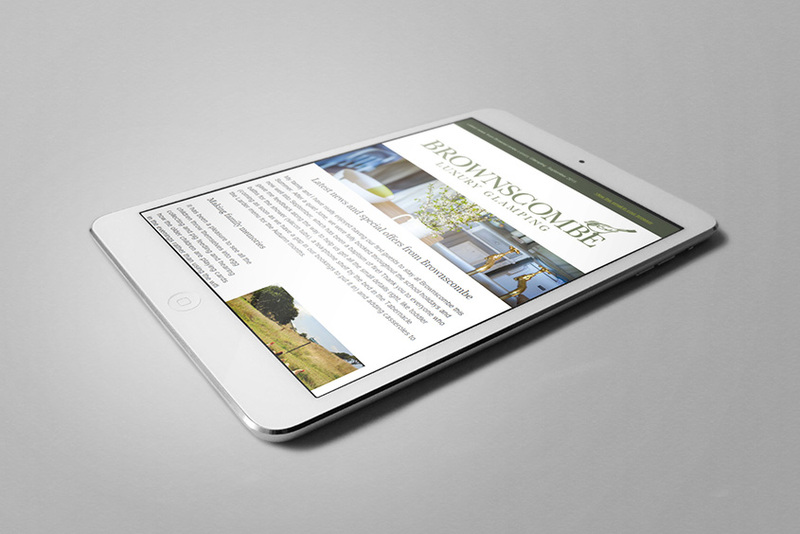 We began by developing a unique brand in keeping with Brownscombe’s high-end holiday accommodation offering, including a logo, business cards and stationery. We then created a beautiful WordPress website with a clear structure, flexible content, and strong use of images to support their new look and feel. We also provided a short-term social media marketing strategy for the business, alongside a WordPress training package to enable Kate and Andrew to update and manage the site themselves.